Genuine goodness. 1 of your 5 day. 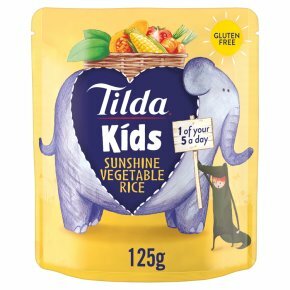 Suitable for children who are weaned & happily eating solid food. Gluten free. Suitable for vegetarians. Squeeze pouch.Tear strip.Microwave 800W 40secs.Microwave ovens may vary. Adjust cooking times accordingly.Check temp before serving. Careful as the pouch is hot! Stir fry for 3 mins.Serve & enjoy.